The Maine Republican opposes an individual mandate but supports some of the law. Sen. Susan Collins, R-Maine, is speaking out against a federal judge’s ruling overturning the Affordable Care Act, commonly known as Obamacare. She told ABC News Chief Anchor George Stephanopoulos on “This Week” Sunday that she believes the judge’s ruling overturning the entire law goes too far and that the court should instead remove the individual mandate to buy health insurance while keeping the rest of the law intact. (Alex Brandon/AP, FILE) Sen. Susan Collins arrives on Capitol Hill, in Washington, Oct. 4, 2018. “The judge’s ruling was far too sweeping. 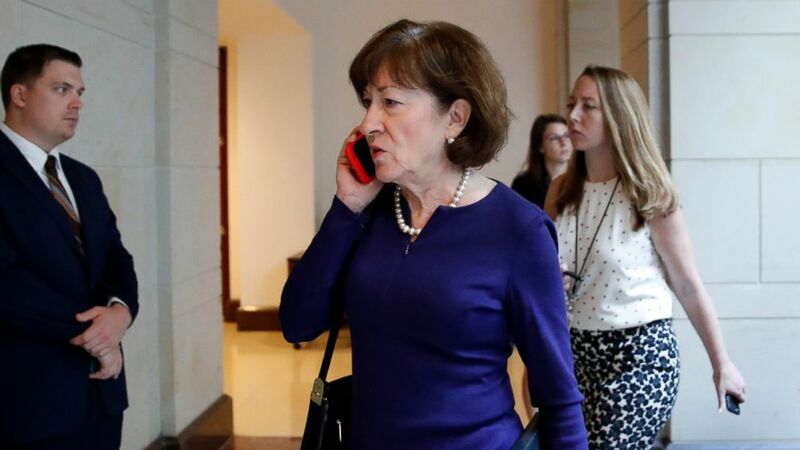 He could have taken a much more surgical approach and just cut down the individual mandate and keep the rest of the law intact,” Collins said. Collins criticized the individual mandate for being a tax disproportionately on lower and middle income taxpayers, but expressed support for parts of the Affordable Care Act. “There are many good provisions of the law. Those should be retained,” Collins added. 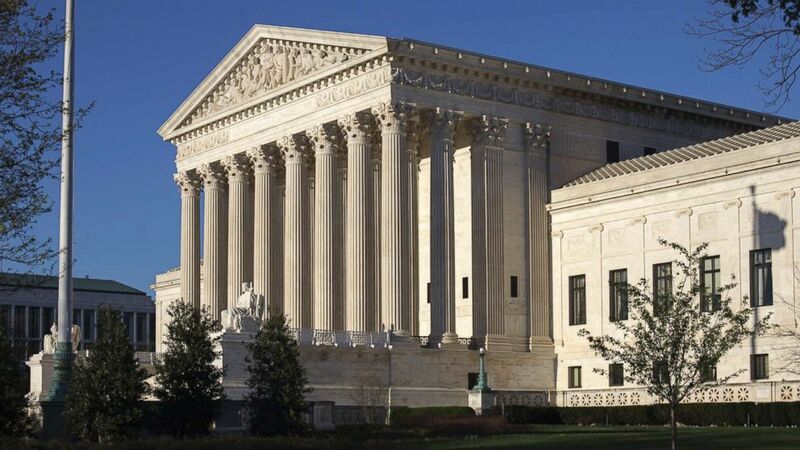 Collins was responding to the ruling issued Friday by a federal district court judge in Texas on a lawsuit brought by Republican attorneys general from 20 states challenging the constitutionality of the individual mandate. Judge Reed O’Connor held that because last year’s tax reform bill set the individual mandate’s tax to zero, it no longer functioned as an instance of Congress’ constitutionally protected power to tax. In 2012, U.S. Supreme Court Chief Justice John Roberts had cited that power in his decision to cast the deciding vote to uphold the law. O’Connor concluded that striking down the individual mandate would necessitate throwing out the rest of the law. He did not, however, issue an injunction, meaning the law can continue to be applied as the appeal process continues. The case will likely head to the Supreme Court. (J. Scott Applewhite/AP, FILE) The Supreme Court Building in Washington, D.C. is pictured on April 4, 2017. “This disproportionately affected lower and middle income families. In addition, not one Democratic senator offered an amendment to strike the repeal of the individual mandate, although they had the opportunity to do so. And that’s because it was probably the most unpopular and unfair provision of the Affordable Care Act,” Collins said. The Maine Republican said that she did not regret her support for the tax reform bill that zeroed out the individual mandate penalty and led to the federal court’s decision but said that access to affordable health care still needs to be improved. “It's something we should still pursue because affordability is a real problem for so many Americans who do not receive the subsidies under the Affordable Care Act because they make just a little more than 400 percent of the poverty rate,” Collins said.